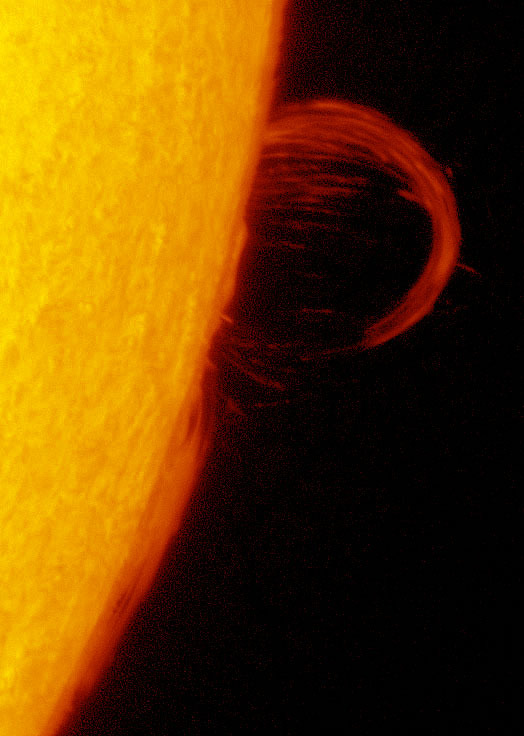 The hydrogen cork, and the solar ghost by Apollo Lasky - SolarChat! Lovely sequence, it shows how interesting off-band images can be, especially animated. I have noticed that but not acted on it very often. I echo Robert's comments on the value of exploring off-band. Very interesting animation Apollo. The first image is interesting. What is the date / hour / min of acquisition ? Your movie is much more impressive !